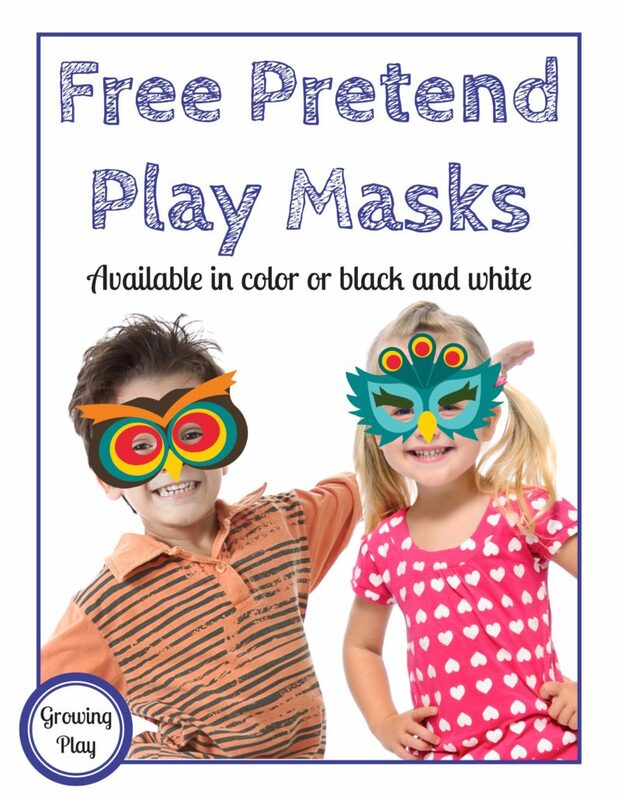 Practice scissor skills, coloring and imagination with this freebie to create owl and peacock masks with these pretend play masks for free! Combine fine motor skills with gross motor skills with this fun activity. Print the black and white versions of the masks, color the masks and cut them out (an adult can help cut out the eye holes). Laminate them for durability or print them on heavier paper. Then start moving around the room like an owl or a peacock. DOWNLOAD THE TWO FREE MASKS HERE. 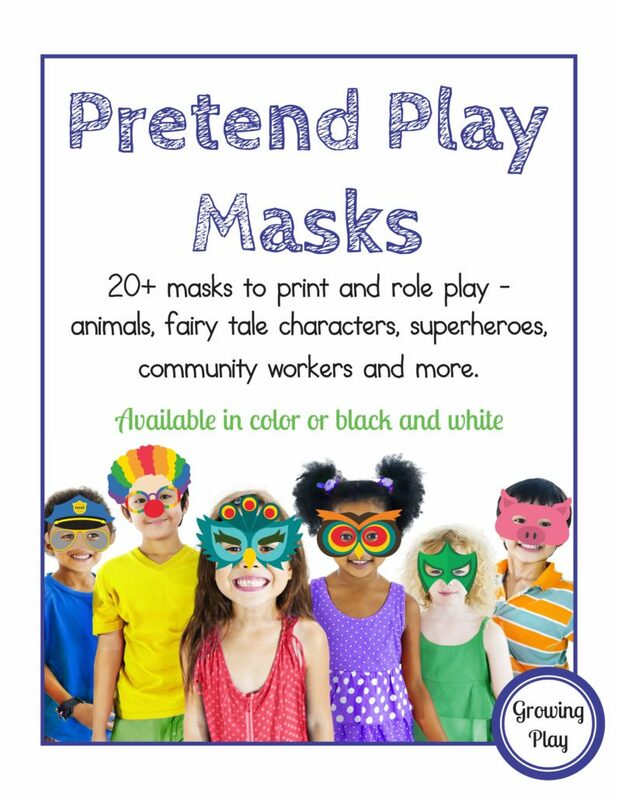 Check out the complete Pretend Play Mask download which includes 20+ masks to print and role play. The download is in color and black and white (color it yourself). Play pretend, retell stories or use with different classroom themes. The masks included are: owl, peacock, fox, bear, goldilocks, little red riding hood, wolf, pig, superheroes, princesses, pirates, clowns, firefighter, police officer, boat captain, chef and construction worker.